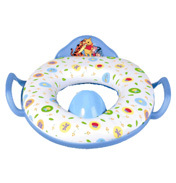 Potty training made fun and easy using the new Winnie the Pooh Soft Training Potty Seat. This soft, comfortable padded potty seat features Winnie the Pooh graphics on the backrest, with sturdy and secure handles. Features built-in deflector shield for boys. The soft cushion can be removed from the base for easy cleaning. Suitable for children over 12 months old. 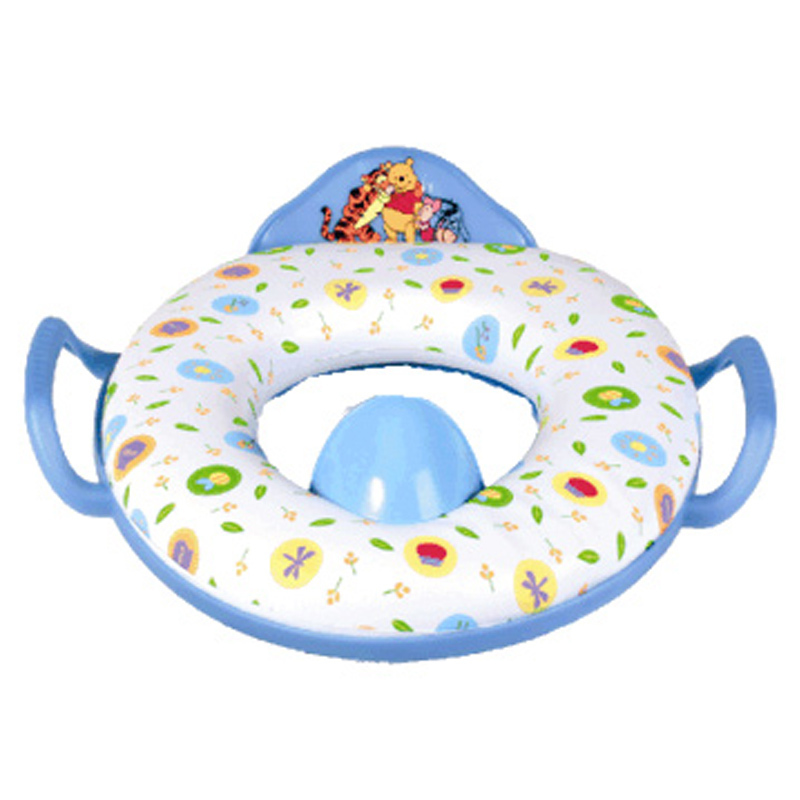 Winnie The Pooh themed Soft Seat Toilet Trainer, fits and is stable on adult toilets,with handles to make it easy to grasp and secure for the child.